The storm will not make landfall in the U.S.
Chris strengthened to a Category 2 hurricane with winds of 105 mph, making it the first Category 2 hurricane of the 2018 Atlantic season. It might strengthen even more Wednesday afternoon and get close to Category 3 hurricane -- marked by 111 mph sustained winds. 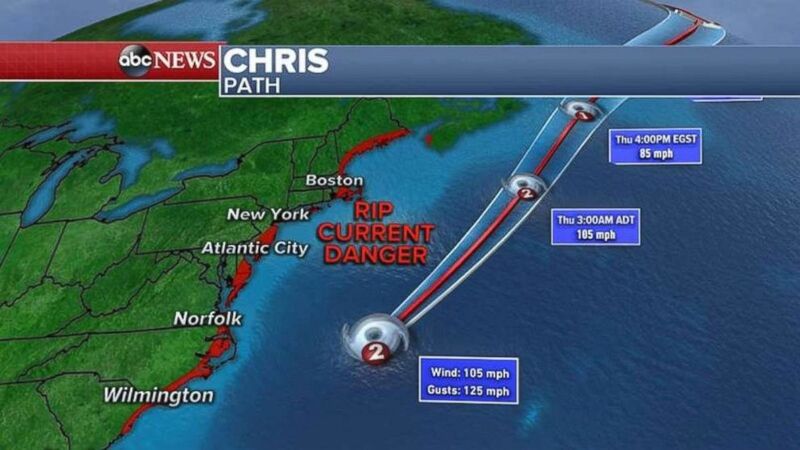 Rough seas and rip currents are forecast for the East Coast for the rest of the week. (ABC News) The storm is bringing rough surf and rip currents to the East Coast. Yesterday, 141 rescues were performed in Ocean City, Maryland, due to rough surf and dangerous rip currents. 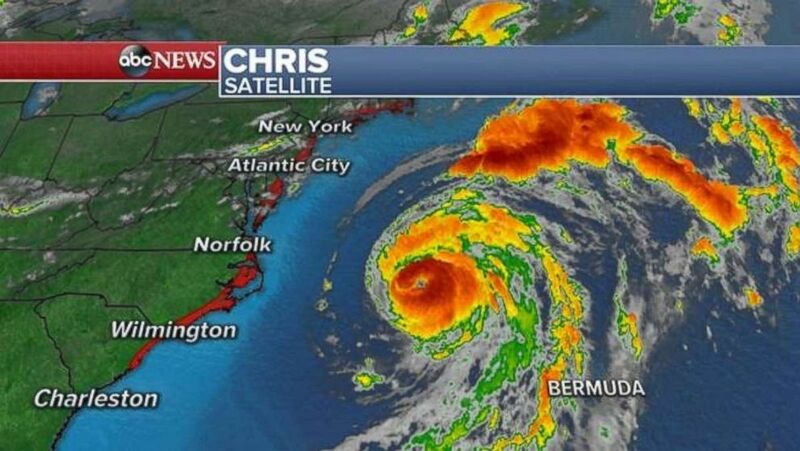 Hurricane Chris will speed northeast, parallel with the East Coast, over the next couple of days and will not make a direct landfall in the U.S.
(ABC News) Hurricane Chris is not forecast to hit the East Coast. The expanding heat in the West will not help the fight with wildfires today and through the weekend. An excessive heat watch was issued all the way into the Pacific Northwest, and a heat advisory was issued from Minneapolis to Kansas City, Missouri. Also, a fire weather watch was issued for parts of central California and western Nevada, where winds could gust 40 to 50 mph near thunderstorms. This could help spread any ongoing fires. 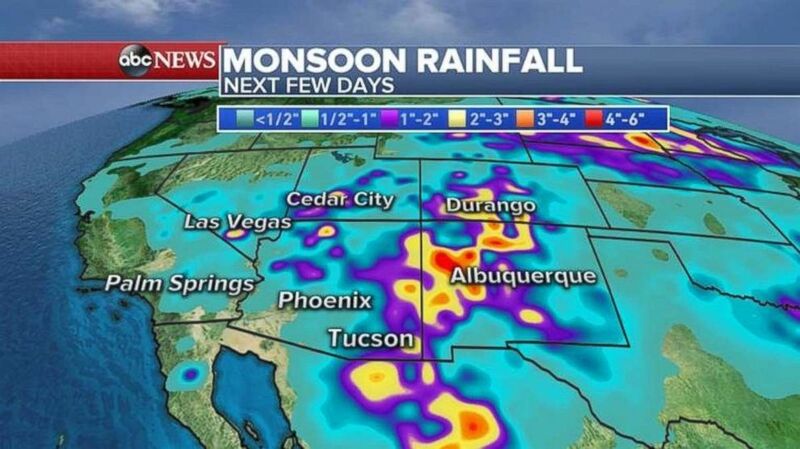 (ABC News) Heavy rain will fall in the Southwest over the next few days. As fires burn, three states from Nevada to Colorado to New Mexico are under flash flood watches. Mudslides and debris flow are possible. The monsoon rain will continue, with some areas possibly seeing more than 4 inches of rain through the rest of the week.